BW UMS was the only reason I ever played as much StarCraft as I did. 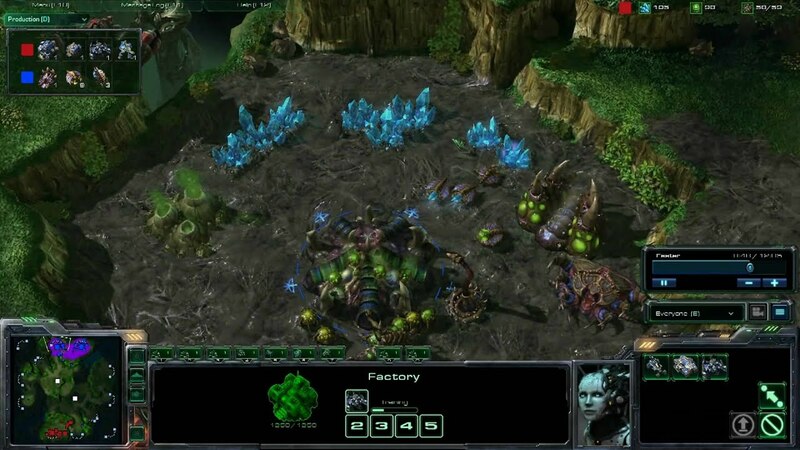 The variety of UMS, the possibilities presented by Staredit and 3rd party software that built upon it fleshed out several possibilities and gave flexibility to one of the most popular game types of StarCraft. The amount of effort one could sink into creating a map was limitless and several genres within the map maker were presented to players, some so well created they created a niche community surrounding one map within the larger hemisphere of StarCraft. For a long time I played only melee as I imagine pretty much everyone had when they first started out. 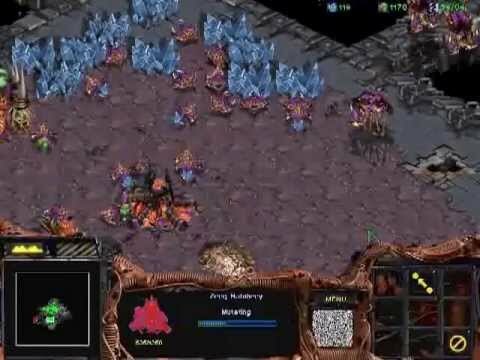 My first UMS game and first game ever of StarCraft was some bunker wars unriggable game. I went into the game without any prior knowledge of anything and went right into the multiplayer. I had a lot of zerglings spawning at a bunker. I didn't even know how to function trying to absorb what I was looking at. I think I managed to figure out clicking on individual units one at a time and pressing on the icons and then a part of the screen to issue the order but that's pretty much it. The graphics looked really strange too because I was expecting something not too far away from sc2 graphics because the only commercials I saw were from Sc2 when it was first coming out. I lost and had lots of money unspent. Afterwards, I only played campaign and went online again, but only on the original server multiplayer, which was far exceeded in multiplayer population in the game's expansion, StarCraft: Brood War. I remained in the original server because I only wanted to start playing on the expansion pack server only until I had completed the original StarCraft campaign. When I first caught on, I didn't realize just how far the scope of UMS reached. The first UMS I did understand how to play was Tank Defense. Only when I got into the editor, and played many different UMS games did I realize the expanding scope and creativity that one could compose with. There were survival maps, chasing maps, stealth maps, pattern maps, board game maps, horror maps, cinematic maps, micro maps, puzzle maps, defense maps, story driven maps, role playing based maps, RPG maps, diplomacy maps, war based maps, tactics based maps, moba-like maps, maps that didn't seem like maps, maps based on several genres, maps based on tv show plots, some fitting into larger, popular categories and some standalone maps.You had a lot of maps. A few times the thought of creating my own map have come to me. Something I've wanted to create is a map filled with story, a story driven plot and winding paths and alternate endings that could occur. There would also be several bits of cute trickery and booby traps you'd have to deal with, cute things like stepping on a trap and causing 50 ultralisks to spawn but they're all hallucinated. I liked those jump scares and I liked good writing to go along with the action. I wanted to create a map with a story that would make you feel things, real, intangible things like a real book would. I wanted to create an atmosphere, maybe an isolated feeling. A good map known as Zombie Mansion did an impeccable job of creating that sort of isolated, claustrophobic atmosphere. When I tried my hand at mapmaking the task proved far too arduous. Mapmaking really is something you sink time into. There are a few maps out there that have taken years upon years to make. There was one particular element to an RPG I enjoyed, if you died fighting an enemy, your spoils and money that you carried would be left where you died. A player could then arrive to that same location and either A) Take everything for themselves, or, B) leave it alone. I enjoyed backstabbing. Lots of fun was had, I started getting really good at certain maps, things you learn from playing them over and over with repetition. I met some interesting people I played with online and I got to have the experience of a long gaming session alongside another person. A single game on some of those maps, especially the RPG ones or diplomacy maps would last so long but the journey would feel satisfying., constant action. Tonight was a day I got to play a UMS again. I played a game of Monopoly on StarCraft. I used to play this game with the same group of people on US east, countless games. I'd win some of them, I always thought I had some strategical prowess when it came to the dice, a magic charm. The dots always aligned in my favor when I most needed them to, the game was magic, the charm just was there. I've had incredibly great comebacks, games where the game does a 180 when both players have sunk all of their funds into creating houses on a few properties to see who lands on whose property first. When I try to host a good game like that the problem with the whole thing is when I'm hosting on a more universal server (iCCup) I get lots of non english speakers but not even that is the problem. It's like, you're talking to some people in real life and you give them really clear instructions, common lingo, the common cut. You tell them something and they just sit there like they've ceased to function and just got a lobotomy or something. It's dumb. I told this guy to rejoin like ten billion times. Dude didn't say jack. Just stood there. Just stood there. Only typed "jajajajaja" occasionally. Waited 5 minutes in complete silence. Then there are those types of people who are all "2 hour map, let's go." When they get to the actual game they just leave after five minutes. Kind of ruins the whole thing, they just abandon ship. They're out. Some map that you spawned at the bottom with 4 or 5 allies and did a progressive defensive push as you were supplied with reinforcements and defended waves of enemies. Lots more but it was ages ago. The old Golem maps where you had 4 beacons and got civillians per x kills and had to remember which combos were triggered in what way were the best. It was also fun timing it so you got exactly 1 civillian on each of the beacons at the same time and get 4 heroes Bounds were also great. I made a bunch of them and played many more. However, the two most memorable maps to me are Elements RPG and Smash TV. I spent so much time on both of them. Oh, and the basketball UMS. I was boss at that. I think the most weird UMS i played and laughed a lot was the volleyball in 3v3 with players being tanks and you had to siege to "kick" the ball which was a scourge. And of course. 10way sunken defense. First one i played was Starship troopers. It was so fun. I loved UMS maps. I think there must be a lot of TLers who played UMS for years before they ever realised competitive 1v1 in melee mode was a thing. I think the current generation gets that kind of kick from Minecraft, with all the custom maps in it. i know quite a bit of players, who still are passionate about certain UMS maps. Why don't you create a skype group or meeting point and try to get some UMS action going with people who know a good deal of UMS maps/are willing to learn and who genuinly enjoy it? I think that what be what the hour calls for, given the player base and the big focus on 1v1 nowadays. I loved UMS maps too, though I played most of them in WC3. Lately I logged into SC2 to play some UMS. I'm not sure if I'm missing something because I could find anything interesting. Impossible scenarios, team arena, and golem games all day long. Unlike most, I never cared for UMS. If I am playing starcraft I want to play....well starcraft. Not Monopoly or basketball or whatever. Then again, I probably would have enjoyed it plenty with a group of friends. The majority of UMS I never really cared for. Always felt like the time it'd take to learn the map would be more fun to spend playing 1v1 or 2v2. There are a few less involved UMS that I like - Hydra zone control, micro tournament, mini game party. vulture micro... Sniper RPGs are fun too if you have a cooperative group playing and there are some really challenging ones out there.